During his lifetime, Fulton Sheen brought countless people closer to God. Imagine the impact he can have on a new generation if the Church proclaims him a saint. In 2002, Bishop Daniel Jenky, CSC, of the Diocese of Peoria, Illinois, officially opened the cause for Sheen's beatification and canonization. God alone is the source of all sanctity, yet one can only be proclaimed a saint after the discernment of the Church and decision of the Holy Father. The Archbishop Fulton John Sheen Foundation is responsible for gathering all the necessary testimony and other evidence (e.g., medical reports, documents, etc.) that is then submitted to the Congregation for the Causes of the Saints at the Vatican. While much work is already accomplished, much remains that requires the expertise of theologians, canon lawyers, judges, notaries, support staff and others. 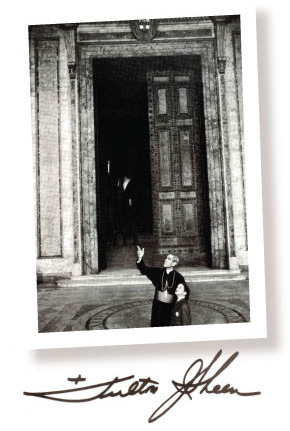 Click here to learn more about the cause to proclaim Archbishop Sheen a saint.